The following are links for recommended resources for holistic treatments and other services. Ben Schwarcz is not professionally affiliated with these businesses and does not guarantee results or make any personal claims regarding the services or products offered by the following businesses. Kat Delse Mardirous, L.Ac. uses acupuncture, Reiki, and herbal medicine to help people recover from many common ailments and symptoms of imbalance. 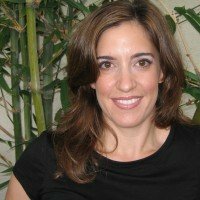 Acupuncture Mama - Annette Romios L.Ac - California Board Licensed Acupuncturist and herbalist located in Santa Rosa, and fellow of the American Board of Oriental Reproductive Medicine. Royal Care Lifestyle is known for advanced therapeutic massage and holistic treatments that enhance our clients’ well being and lifestyle. Our therapists are skilled professionals who have a passion for healing, and understand the therapeutic benefits of their expertise. They confidently communicate with clients through listening and interpreting their needs, often exceeding expectations. Each of our certified therapists is trained to accommodate a range of modalities, including but not limited to: Deep Tissue, Swedish, Prenatal, Trigger Point, Acupressure, Shiatsu, Cranial Sacral, Warm Bamboo, and Hot Stones. Dr. Sam Rose has been practicing chiropractic since 1993. He got his B.A. in Biology from UC Santa Cruz and then earned his Doctor of Chiropractic degree, graduating from Palmer College of Chiropractic-West in San Jose, California. Dr Rose moved back to his home state of Alaska but after practicing there for 18 years, he and his family got tired of the cold and moved to sunny Sonoma County - they love it here! We offer experience, gentle chiropractic adjustments to regain and retain health and well being. hours. If you need to be seen, call us and we will make special arrangements for you! Ward Wellness’ Holistic Health Coach, Noel Ward Wheeler, offers clients a 6 month program in improving lifestyle habits toward health. This program covers areas including diet, fitness, finances, career, relationship, spirituality, creativity, home cooking, environment, and more. Typical needs which are met include: eradication of skin irritations, weight loss, cancer prevention, decrease in inflammation, increase in motivation, development of regular exercise program, self-love, healthful cooking, improved relationships, motivation, career development, increased energy, spiritual discipline, and decrease of stress, anxiety and depression. Noel is a Holistic Health Coach who has taken a personal vow to meet each of her clients where they are in life with kindness and compassion. Her personal mission is to nurture growth and empowerment in others through collaboration where lifestyle habits are evaluated and improved through strategic steps. Other offerings include workshops for corporate wellness programs, motivational groups, and community outreach. Noel also works as a Behavioral Interventionist for children with Autism and devotes her free time to community outreach for people with addiction. She graduated from the University of California, Irvine and from the Institute for Integrative Nutrition. BEMER is a state of the art German medical device for use by the entire family, regardless of their age and condition, as well as by medical professionals, chiropractors, physical therapists, acupuncturists, dentists, athletes and those recovering from injuries. What BEMER does is increase blood flow in the smallest vessels by up to 30%, with no negative side effects. It’s designed for everyday use. There’s nothing else like it available, as evidenced by the recent partnership with NASA. Blood flow is really essential because that’s the only way our cells get what they need to run the body. Today's lifestyle and environment are not conducive to having good blood flow. All problems start in the cells. Good blood flow is necessary for addressing everyday pains, stress, lack of energy, depression, wounds, headaches, weakness, and getting sick, as well as more serious chronic conditions. Scientifically proven and tested over the past 17 years, BEMER is a tool that empowers each of us to take better control of our own health. Jacqueline Emery is a licensed esthetician and proprietor of Kokeshi- A Zen Facial Spa. her private practice in 2006. Want that perfect look now? Look no more- get Nails on Wheels by Landis. With over 20 years of experience in this profession Landis has brought his skills to multiple celebrities, from Fleetwood Mac to Salt-and-Pepper, and more. Providing relaxation, rejuvenation, and sanitization to the homes and businesses of Sonoma County, Nails on Wheels by Landis does all events from birthday parties, bachelorette parties, to bridals, or any who deserve a day of pampering. Kylie Perkins has been in the cosmetology industry for about 2 years and loves every minute of it. She offers hair color of all kinds, including the fine art of balyage, as well as haircuts for men, women and children of all ages. Brazilian blow out treatments and stylish up-dos are also some of her specialties. Dolce Vita Salon and Lounge has a fun, open space which offers esthetic services including waxing and facials along with treatments for natural nails, as well as high end product sales and regular special deals. Ayurveda is a holistic/herbal/nutritional medicine that originated in ancient India and gave rise to a multitude of other eastern healing arts. Ayurveda is extremely complex and multifaceted. Experts are difficult to find, especially outside India. One of the most well respected Ayurvedic Centers in the world is located in New Mexico - Directed by Ayurvedic doctor Vasant Lad. A blog devoted to inspiring awareness of the present moment, aligning with your heart and getting into the zone for peak performance and success. Boulder Psychologist and Coach explores Spiritual Psychology and Transformation, Tips for Developing deep Insight, Self-Awareness, and Emotional Maturity in Adulthood. Association for Comprehensive Energy Psychology. The Official Website originally founded by Gary Craig - originator of EFT. This site has a wealth of valuable information about this revolutionary healing technique. Visit the World Center for EFT. DrugWatch.com features up to date information on the drug side effects of prescription and over-the-counter medications. Accutane side-effects and Yaz side-effects are the most recent drug alerts.